This is a special discounted price, solely for churches intending to give the books away. Your donation will allow us to donate books and resources to churches and schools that need them. 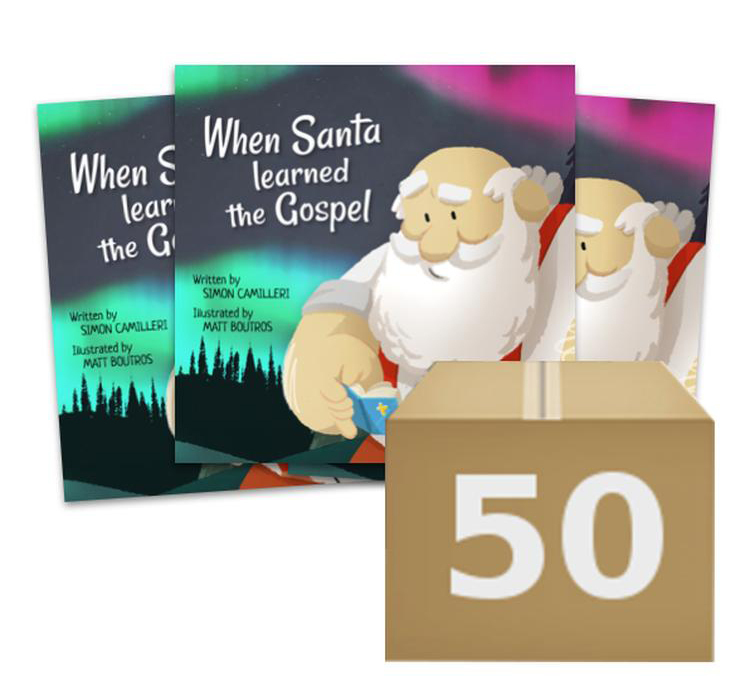 It also allows us to create more resources like “When Santa Learned the Gospel” to creatively communicate the message of Jesus.